Last year I reviewed four shades of the Shisheido Cream Eye Colors* and I'm happy to report they've added a few new colors for this spring. I was given BR727 (Fog) and VI226 (Lavande) and I was so excited to see a taupe and lilac added to this range. As a quick recap, these shadows contain 6 grams of product for $25. There are currently 27 shades in the line up to choose from. 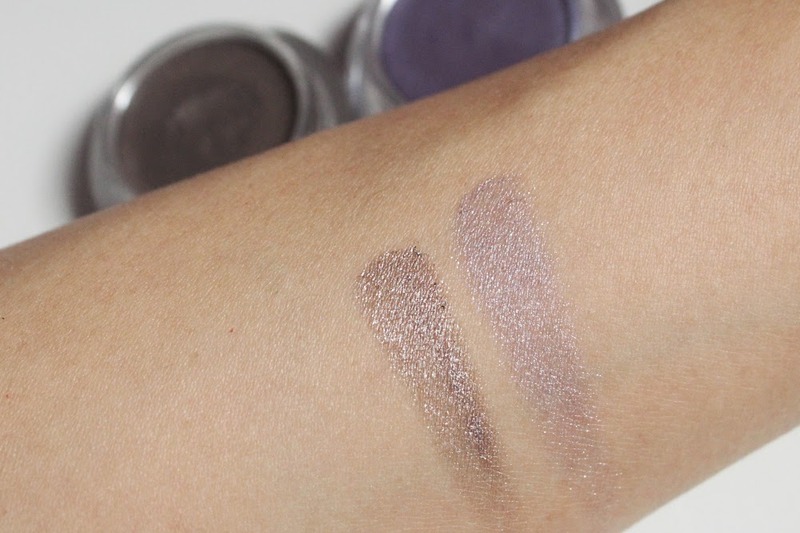 If you haven't felt the Shiseido Shimmering Cream Eye Colors, you should try to find a counter to swatch these. The texture is very lightweight and silky so the cream never drags on the skin. 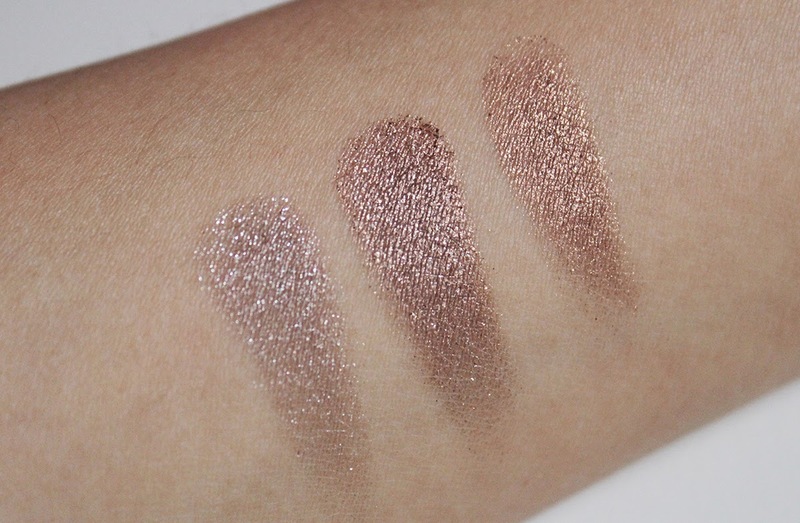 These are still the smoothest cream eyeshadows I have had the pleasure of swatching. 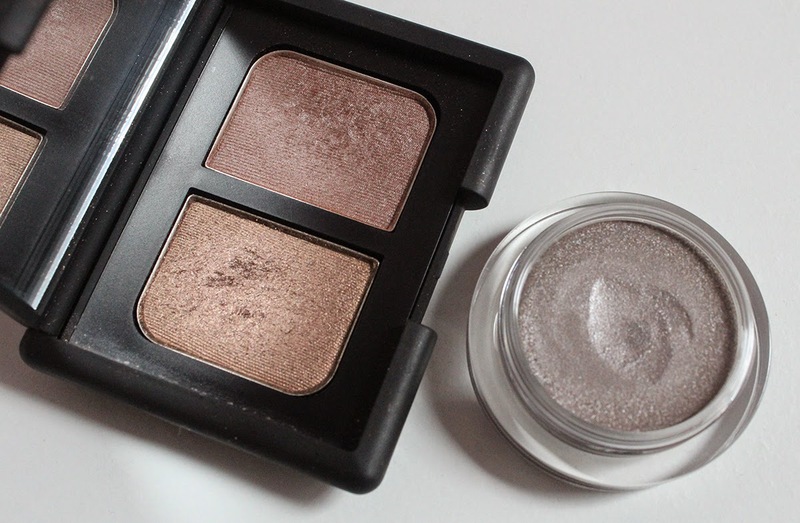 The color payoff is quite sheer compared to other cream eyeshadows. You can see above that one swipe of each color yields mostly shimmer with a bit of pigment. This is not necessarily a bad thing because the shimmer is not chunky or glittery. 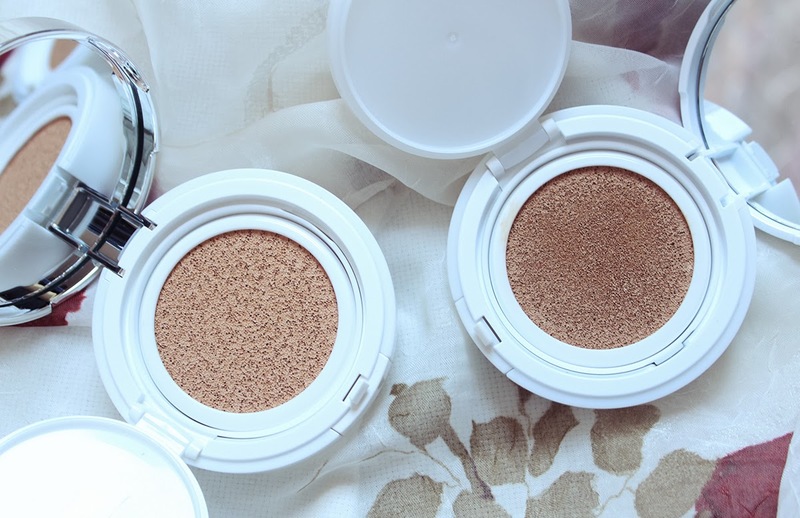 I can't feel the shimmers on my skin when I wear these shadows. The shadows reflect light in a way that makes the eyelids shine but without looking garish or oily. My preferred method of wearing these is under powder eyeshadow. Fog is a rather cool toned taupe that doesn't always look great on my warm skin tone so I layered it under the bronze taupe in the Nars Kalahari Eyeshadow Duo. I apply the cream shadow all over my lid, blend the edges with the darker color in the Nars duo and generously pat the bronze shade on the lid where the cream shadow is. I love this combination so much that I've been wearing it pretty much everyday this past week. This look lasts about 10 hours on my eyelids before I noticed creasing. 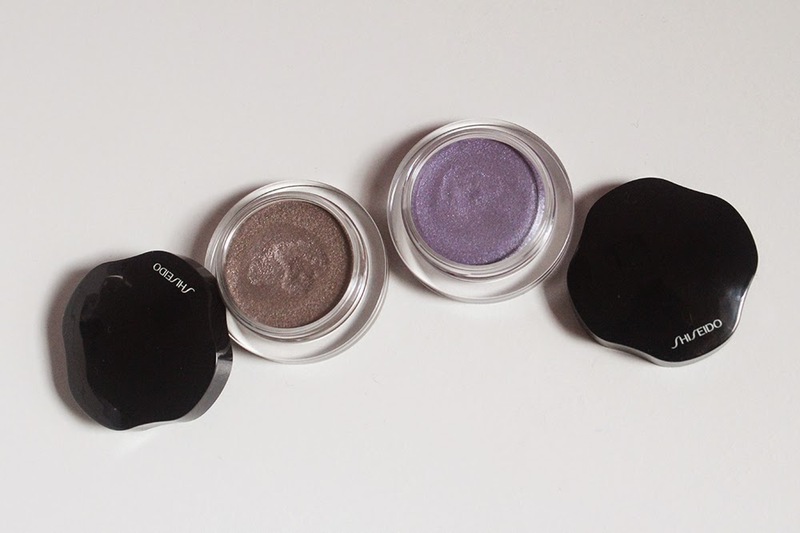 I'm happy to report the new shades of the Shiseido Shimmering Cream Eye Colors are worth a look. They might not be everyone's cup of tea given the somewhat sheer payoff but the formula and fine sparkles give these a special place in my collection. 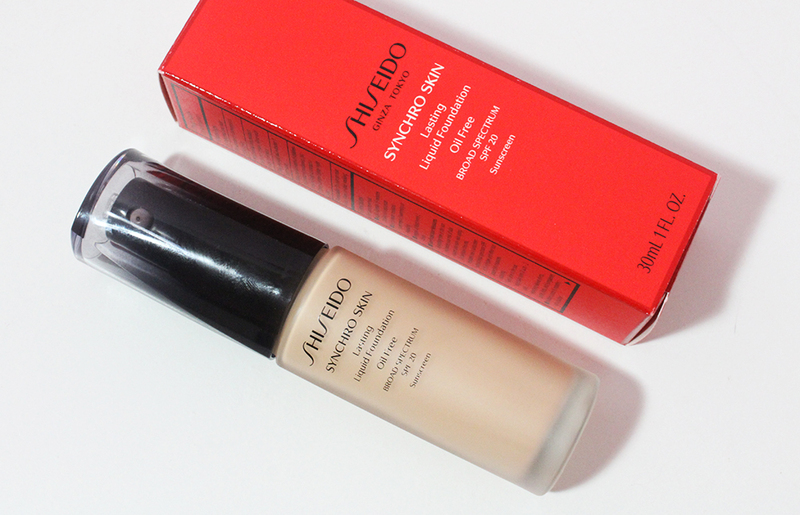 Have you tried the Shiseido cream eyeshadows? What do you think of my new-found taupe combination? *These products were provided by PR. I was not obligated to review these and all opinions are my own.